The animated visuals starts with the “Unruly Boss” sitting on a sofa rocking a Gucci headband and dripping in some gold jewellery while smoking a blunt. 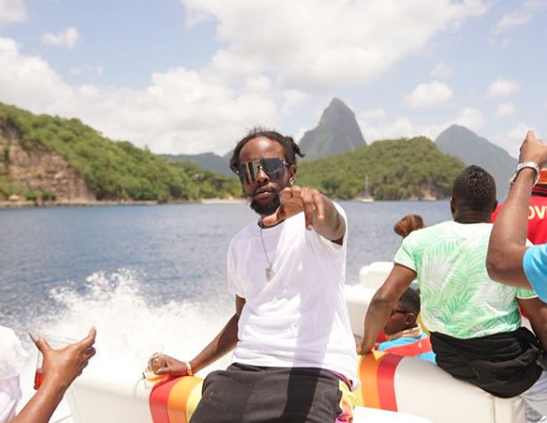 “Best/Blessed” is Popcaan’s second track for the new year, it follows his “Unruly Law” release produced by Dunwell Productions. “Man love you for life… hope seh you love me too / P***y tight and pretty…. / Loving you daily and treating you right / Good times and bad times ah me and you right through / Loving you daily and f**king you right,” Popcaan sings over the beat. Watch Popcaan’s “Best/Blessed” Lyric Video below.